Real Estate Riches is designed and presented by local property investors Stan Kontos and Manuel Karkafiris. This purely educational program will teach you skills to create wealth through property right here in the Adelaide market. Whether you’re a beginner or an experienced property investor, you’ll get the knowledge you need to build a property portfolio that could give you the lifestyle you want. What you can and can’t do with property in the Adelaide area (and all the ways Council will support you in your property investing success); and much more. 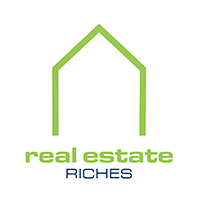 If you’ve been dreaming of building wealth through property, Real Estate Riches will show you how it’s done. And the best part… you don’t need a fortune (or a big income to get started). During the course you’ll also get to hear from a number of trusted local property specialists like Town Planners, Building Inspectors, Property Accountants, Property Analysts and Property Managers. Together with Stan and Manuel, each of these experts in their field will explain the specifics you need to know to invest successfully in the Adelaide Market. Your presenters are both experienced, successful property investors and skillful educators. Over the program, they’ll share the knowledge they’ve built over many years to fast-track your property investment learning. Access to online course via video links. A property Option agreement specifically for the Adelaide market. Personality profiling to provide you with valuable insight into your own strengths and weaknesses in investment.